If you crave adventure and the thrill of exploring what the great outdoors have to offer, then Storms River Mouth is waiting to send you on a ride of your life. 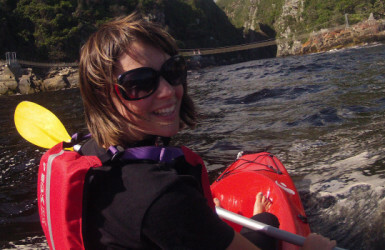 Kayak across the ocean, then end up the glorious Storms River and finally end off on the Lilo’s where you can relax and marvel at the wonders of nature from a new and unique perspective. 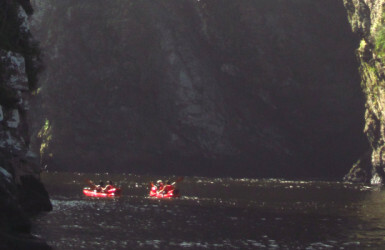 The Lilo’s let you float over shallow rocks, and explore long pools deep into the Storms River Gorge. From deep caves to tranquil pools and spectacular cliffs, anything is possible. Experience nature and adventure at its best. The Kayak and Lilo Adventure takes 2-3 hours and costs R399 per person including your gear, guide and great times! Experience the beauty of Storms River Mouth on Kayak. 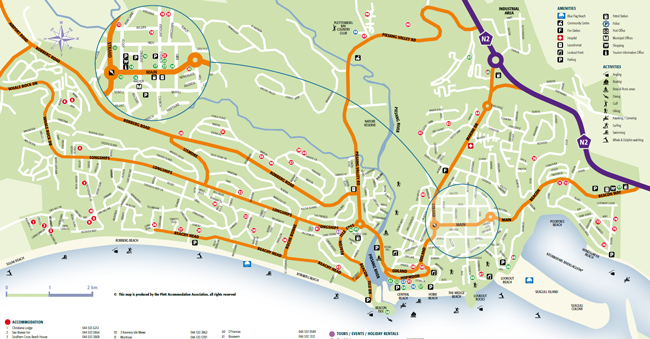 Paddle across the ocean and under the Storms River Suspension Bridge. 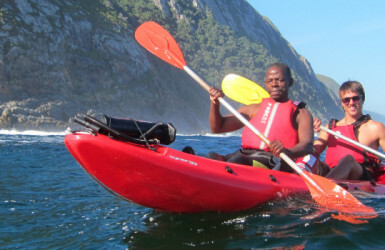 Kayak up the Storms River Mouth, checking out the Bats Cave, spectacular cliffs, and keep your eyes and ears out for our local seals and fish eagles. Stand Up Storms River! Our SUP trip is for the more adventurous, taking half a day you will explore deep into the Stormsriver gorge where neither boat nor kayak can go. The Adventure SUP trip includes stand up paddleboarding on the calm black water of the Storms River, scrambling over rocks, swimming through deep and narrow gorges and jumping from cliff edges. A shorter family friendly trip is also available which takes between 2-3 hours and is an awesome SUP experience for the whole family! Imagine moving across the ocean’s surface, marvelling at the spectacular underwater world from above! Chase the fish over the reefs, spot rays on the bed of the ocean and get away from the rush of the world by experiencing life under the sea. This kind of splendour is truly possible and an ideal adventure for the whole family. Anyone with an inquiring mind and love of the water will find Storms River Mouth a true underwater treasure just waiting to be explored! 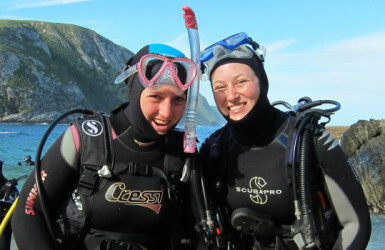 Tsitsikamma is a marine protected area filled with abundance of marine life. Enjoy stunning shore entries and boat dives for the qualified scuba diver, or learn to dive on our 1 day Discover Scuba course or get the international accreditation in 4 days!